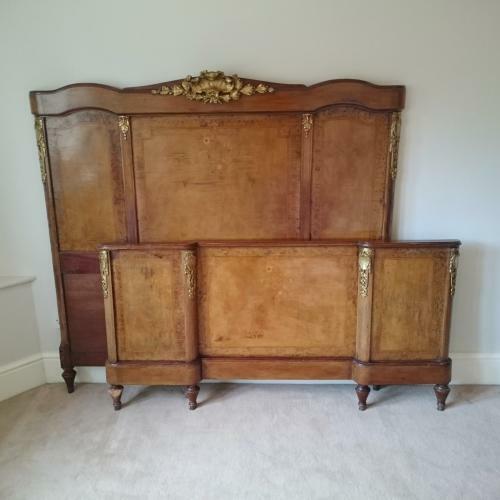 Antique French decorative carved double bed with walnut veneer. Both the headboard and footboard feature gilded brass mounts and a beautiful floral inlay. This is a gorgeous statement piece and can be painted if prefered subject to quotation.